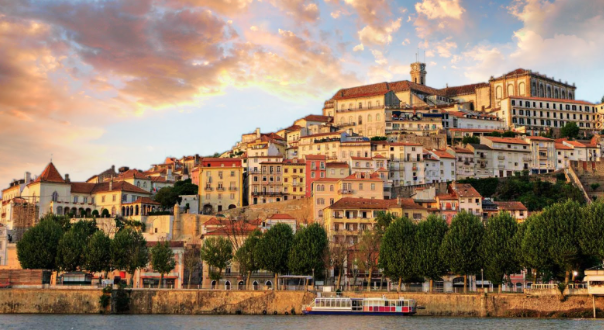 I have spent my last day here in Coimbra Portugal walking around the old town, soaking up the sunshine, buying small souvenirs I can squeeze into my suitcase and reflecting on my time here in Portugal on the Hope Exchange Programme. Today however, I didn’t see any of that, instead I thought everywhere looked warm and vibrant and inviting. I didn’t notice anything shabby or neglected although those things were still there. I think this is because I have got to know the culture, the heart of the people and the place which is so overwhelmingly welcoming and optomistic that the shabbiness is pretty much irrelevant. If it was all sparkling, shiny and new it wouldn’t be Portugal but some other place instead. 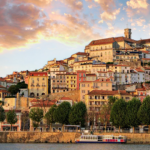 Not surprisingly, I have had the same experience with the majority of the health care system I have visited here in Coimbra, Lisbon and in Porto. Hospitals that were designed in the 50s, but not built until the 1980s, painted mustard and khaki green, were not the most inspiring first impressions. One hospital was a converted leper colony and another looked derelict from the outside. Yet once I got inside, they were filled with incredibly bright, well educated, forward thinking individuals who all believe in their NHS. They try hard to deliver a high standard of care. Creativity and innovation are second nature to them because they don’t have much money and so they find a way to do what they want to do differently that doesn’t cost a lot. Portuguese health care professionals are also impressively well connected to each other, to their patients and with colleagues across Europe. They have a national electronic patient database linked to all the hospitals and primary care centres with an integrated electronic prescription system that sends patients their prescription by text which they can take to any pharmacy. They have been delivering integrated care across all sectors for nearly 20 years and they visit each others hospitals to share good practice and help each other out on a regular basis. On top of all this, they also go to other countries to discover best and new practices for themselves and to support developing health systems. One hospital manager I met, had done 4 Hope Exchange programmes in 10 years and another manager had just gone to help out a hospital in Turkmenistan. I have learned a lot here. I have recognised that it’s not all about being shiny and new and having all the latest gadgets but about attitudes and values and heart. The Portuguese live in a community, work in a community and go out and create new communities. It’s not perfect but it’s been great to take part in some of those communities and to remember that it is not what’s on the outside that counts but whats on the inside!